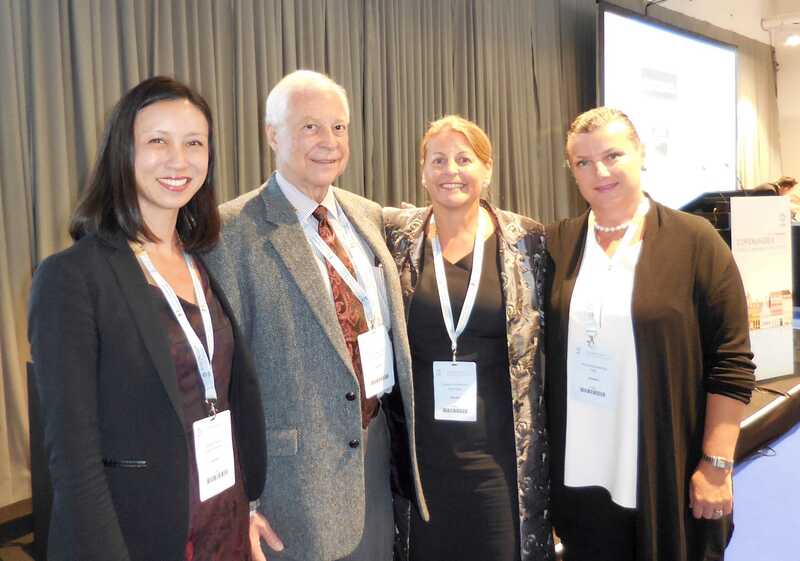 At the European Society of Cataract & Refractive Surgeons (ESCRS) Meeting in Copenhagen last week, I had the honour of hosting an outstanding Ocular Surface Masterclass for cataract surgeons! Fantastic problem-oriented and evidence based talks by Prof. Elisabeth Messmer from Munich, Prof. Jim McCulley from Texas, Dr Anna Maria Roszkowska from Rome. Great feedback from the audience! Is LASIK safe in the long term? How long does the effect of LASIK surgery last? Is LASIK safe in the long term? For treatment of myopia up to -10, there are now several studies reporting good long term outcomes between 10-16 years post operatively, for both LASIK (Alio 2008) and PRK (which is surface laser treatment similar to LASEK) (Alio 2016, Guerin 2012, Rajan 2004). Similar long term safety data for treatment of hyperopia by PRK has also been reported (Dave 2016). Bearing in mind that the laser technology used at the time of these surgeries was much less sophisticated than the state of the art lasers with multi-dimensional eye tracking and wavefront technology used today, these studies indicate that laser eye surgery is very safe long term, providing careful screening and exclusion of patients with an underlying tendency to develop ectasia (a condition of the cornea where it becomes thin and cone-shaped) has been carried out. Safety is measured in terms of the percentage of eyes in which the best-corrected vision after surgery is worse than that which was present prior to the surgery. This percentage is between 1-3%, and lower in studies where newer lasers have been used. How long does the effect of laser eye surgery last? (2) changes in the eye prescription due to development of early cataract from the age of 50 onwards, can lead to the need to wear glasses again. For myopia (short sight) which is high prescription (greater than -6.0), the long term results are also excellent, but a phenomenon called “myopic regression” can occur, which leads to a low level of myopia (usually up to 2 dioptres) returning, sometimes towards the end of the first year after the surgery, or later. If myopic regression occurs and is causing symptoms of blurred vision (a small amount of regression does not cause symptoms), then providing there is enough thickness in the cornea, re-treatment of the small residual correction is often very successful. In presbyopic patients with up to 2 dioptres myopia due to myopic regression, this myopia can help them read without glasses. In these patients, re-treatment of myopic regression is not always necessary. For hyperopia (long sight), a moderate amount of hyperopia can return between 1 and 16 years post-operatively, but vision unaided is still improved after 16 years (Dave 2016). 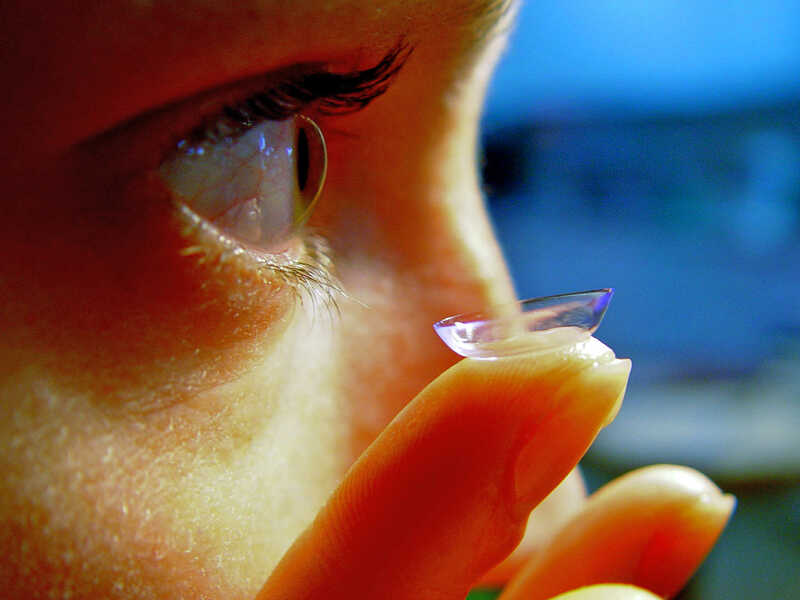 Does wearing contact lenses affect the outcome of LASIK surgery? Wearing contact lenses, even for many years, does not influence the outcome of LASIK surgery, providing the eye is healthy. It is important to discontinue contact lens wear prior to having a consultation for LASIK surgery. This is because the contact lens temporarily alters the shape of the cornea. Sometimes contact lens wear induces dry eye, but this usually resolves once contact lens wear is discontinued. If one has developed a corneal scar following an eye infection due to contact lens wear, it can be more challenging to carry out laser eye surgery. (1) Wearing daily disposable contact lenses, (2) making sure that you are meticulous with contact lens hygiene, and (3) never swimming (not even inside goggles) or showering whilst wearing contact lenses, minimises the risk of developing an infection when wearing contact lenses, and optimises the chances of an excellent outcome, if and when you decide to have LASIK surgery! When is the best age to have LASIK surgery? The ideal age to have LASIK surgery is between 21 to 60 years old. More important than age is that the eye is healthy, and the spectacle refraction has been stable for at least 2 years. If the refraction is stable, this means that the treatment is likely to be successful in correcting the vision long term. LASIK surgery gives excellent results for patients in their 20s – late 40s. For patients in their 50s and 60s, LASIK is still safe and very effective, but the development of cataracts inside the eyes, which start appearing at this age, must be evaluated, and also in this age group blended vision/monovision correction must be considered, in order to correct both distance vision and reading vision due to natural presbyopia occurring as the eye ages. One of the first steps in making sure you have an excellent outcome from laser eye surgery is to understand about the different types of laser surgery available. Femtosecond laser: this laser cuts the LASIK flap. It is also the laser used in SMILE, and in Laser Cataract Surgery. LASIK: a flap is cut in the cornea with the Femtosecond laser, then the Excimer laser shapes the cornea to correct the prescription of the eye. Vision is excellent within a few days. LASEK: the surface of the cornea is gently removed, then the Excimer laser shapes the cornea to correct the prescription of the eye. This is safer for people who enjoy boxing or martial arts, as there is no potential risk of the flap dislodging with a strong injury to the eye. Vision takes 10 days or so to recover. Depending on the glasses prescription being treated, long term outcomes are similar for both procedures. I was invited by Clinic Compare* to do this educational video, which I did when I was working as a Consultant Surgeon at Moorfields Eye Hospital and Moorfields Private Hospital. I hope you find it helpful. We welcome any enquiries, callback requests and new consultation bookings via our website. We provide downloadable guides free of charge on request. Please fill in the form below and a member of our team will contact you. How to choose a LASIK surgeon? Ms Saw is excellent. She is so reassuring about the procedure, explaining good and bad about the surgery. I would strongly recommend her to anyone considering surgery. "THIS OPERATION HAS GIVEN ME PERFECT VISION"
As I got older my eyes deteriorated! I had glasses throughout the house, and it irritated me. It even influenced my sports. This operation has given me perfect vision, I could not be happier! Thank you Ms Valerie Saw and the team for the perfect treatment. Highly recommended. The initial examination was thorough beyond all previous experience and her advice complete, informative and very reassuring. Taking the plunge I elected to have lasik surgery and the procedure was duly completed without pain in a calm and comforting environment by a scrupulously professional team led by Valerie. Despite the recent surgery there was an immediate and staggering improvement in my vision and within 12 hours I could read newsprint without the aid spectacles. It is now 4 months since the procedure and having undergone 3 equally thorough post operative checks the result continues to improve. I am now free to pursue my passion for wildlife photography and bird watching without the constant annoyance of spectacles hanging around my neck and the only regret is that I didn't have the procedure carried out years ago! If you are in any doubt forget it, make an appointment to see Valerie, put your trust in her abilities and enjoy a life changing experience. Brilliant! I was so afraid of this operation but Ms Saw has a calm and gentle manner which is so reassuring to the patient. Her skills are outstanding – I can’t remember being able to see from early childhood, but because of Ms Saw’s abilities a miracle has occurred and I can see when I open my eyes. I am so grateful to her. "I have 20/20 vision, the best thing I have ever spent my money on." Well taken care of. Surgery went very well and aftercare excellent. I have 20/20 vision, the best thing I have ever spent my money on. Would recommend LASIK eye surgery. While I was initially quite frightened and apprehensive considering eye surgery to correct my short sightedness, I opted to go to Valerie Saw at Moorfields due to the consistency of references I had received about her. This was absolutely the right decision. She worked carefully with me, addressing all my concerns and answering my questions, no matter how unusual! In the end we planned a surgery type that was right for me, and I felt confident on the day that I was being looked after as well as I had ever hoped. Valerie comforted me massively during the surgery, and offered me all sorts of advice and post surgery care as I recovered. I highly recommend her to anyone, and I am very grateful. "I CAN'T RECOMMEND VALERIE SAW HIGHLY ENOUGH"
I wish I’d had the treatment years ago. It’s transformed my life, stripping out a whole layer of stress, anxiety and upset. I was terrified of the procedure and the recovery process for PRK. It was over in moments and in retrospect, neither the treatment or recovery felt like a big deal. I can’t recommend Valerie Saw highly enough. She took time to answer my numerous questions in-depth, face-to-face during consultations as well as over the phone and via email. She put me at ease and she has changed my life for the better, and for this I am eternally grateful. "THE SURGERY WAS SO QUICK, EASY AND PAIN FREE"
I am extremely glad I went with Valerie and her team, they were friendly, caring, informative and professional. The surgery was so quick, easy and pain free. I was extremely nervous about the procedure, just the thought made my stomach turn. Valerie and her team made me feel extremely relaxed and explained the procedure clearly to me. The nurses on the day were really helpful and explained all the aftercare drops to me. I still can’t believe I went through with it but so glad I did and would recommend it to anyone and would highly recommend going to Moorfields and having Valerie as your surgeon. Her voice is extremely calming whilst the procedure is taking place. "MY VISION IS NOW PERFECT, WHICH IS AN AMAZING AND CRAZY FEELING!" I highly recommend undertaking laser surgery with Valerie. I had a very high prescription (-8) and was wearing spectacles and then contact lenses since I was 5 years old. I was a bit apprehensive at the start but Valerie was very reassuring from the beginning. I received all the information I wanted allowing me to make my choice. The surgery (in May 2016) didn’t take long at all and the discomfort only lasted a couple of hours. I was provided with a range of drops including anesthetics drops against the pain which were very efficient. After a few hours, I was seeing and my vision settled very quickly after then. I was driving my son to school after 48h. Valerie gave me her mobile number allowing me to call her, anytime (even during the weekend) if I had any concerns. This was really reassuring. She is making herself available for her patients and is very caring. My vision is now perfect, which is an amazing and crazy feeling! Whenever friends mention laser surgery, I encourage them to see Valerie as I know they will be in very safe hands. The clinic facilities at AVC are very clean and modern, as you would expect for private facilities. You are very well looked after all way through. "My wife is looking to get laser eye surgery and we'll definitely be going to see Dr Saw!" Dr Saw completed my laser eye surgery in November 2016. Her team completed a thorough pre-assessment of my eyes and determined I was suitable for surgery. On the day of the surgery I was walked through the process step-by-step to ensure I was comfortable with what was going to happen, as well as information about how long different things would take. I’ve had several follow up appointments and have reached out to Dr Saw multiple times with questions, all of which have been responded to promptly. My vision is now better than 20/20. My wife is also looking to get laser eye surgery and we'll definitely be going back to see Dr Saw! "Calm and clear. I was particularly grateful for being able to contact Valerie both pre and post-surgery with questions. The teams both in Valerie’s practice and at Moorfields were friendly, reassuring and approachable. Thank you for taking such good care of my sight!" "I FEEL I HAVE HAD LIFE CHANGING EYE SURGERY"
I feel I have had life changing eye surgery. No more contacts or glasses. Surgery was painless, a little discomfort for a few weeks after but all good now. I have been delighted with my experience and would recommend Ms Valerie Saw. Absolutely delighted with result and service, couldn't be happier! "CALM IN SPEECH AND PROFESSIONAL IN APPROACH"
By the end of the first consultation, I felt sure I knew what I was entering into. During the surgery, Ms Saw explained the progress the laser was making, and kept me calm. I would highly recommend having the surgery with Valerie Saw, who is calm in speech and professional in approach, essential qualities when dealing with patients looking to make important decisions on issues as sensitive as their sight. Valerie was highly professional and very competent indeed and the Lasik surgery on my left eye went really well. The procedure was explained very clearly in advance and the procedure itself was quick and painless and has resulted in clear long distance vision in the eye. It all went very well and I can strongly recommend Valerie. I was considering having laser eye surgery on my right eye. I consulted Valerie who diagnosed me with keratoconus. 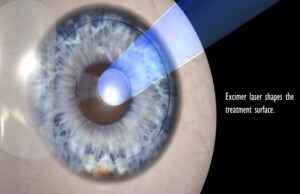 Valerie recommended inserting a Keraring in my eye instead of laser treatment. The results are amazing, 20/20 vision achieved. I cannot thank Valerie enough. What a lovely lady! What a fantastic surgeon. My husband has only had one good eye since birth, and that was getting worse and worse. He had to wear glasses all the time and it makes things like wearing goggles for skiing and workshop tasks difficult. He went to a couple of laser surgeons to find out if he could have something done to this one eye, but, they wouldn't even consider it in case something went wrong. However, we went to see Miss Saw and she didn't see any problems, she only saw solutions. He now has 20/20 vision in that eye and sees better than he has since his 20's. It was easy, friendly and a comfortable experience for both of us. Can't praise her enough. Wonderful, she has changed his life. "THE SURGERY WAS QUICK, PAIN FREE AND EXTREMELY PROFESSIONAL. THANK YOU!" I received the highest level of professional care from Valerie Saw and her team. I have a pre-existing condition, (Blepharitis) so was anxious about surgery. However, not only has Miss Saw corrected my vision, she has also greatly improved the Blepharitis symptoms with medication, which previous ophthalmologist, GP’s and opticians had not diagnosed/treated adequately. The surgery was quick, pain free and extremely professional. Thank you! "ABSOLUTELY DELIGHTED WITH THE OUTCOME"
Valerie Saw carried out cataract surgery on me as a private patient in April of 2011 at Moorfields Eye Hospital in London. I am absolutely delighted with the outcome and can't praise her skills enough. "PROFESSIONAL, INFORMATIVE AND END RESULT AMAZING!" amazing!! I wouldn’t hesitate recommending Ms Valerie Saw and team to Family friends and colleagues. From start to finish I felt supported, informed, safe and unpressured. Any concerns were dealt with immediately and I was re-assured at all times. Follow up post op is excellent and more than I had ever expected. Ms Valerie Saw was amazing, so calm, knowledgeable and professional. Moorfields exceeded my expectations and I recommend them to all considering laser surgery. It’s worth spending the extra to know you will have the best. "THE WHOLE EXPERIENCE WAS EXCELLENT "
Having laser eye surgery was the best decision I have ever made and, given the serious nature of the surgery, I researched the procedure and the best surgeon for me before committing to it. The whole experience was excellent - professional, caring and I was kept completely informed throughout the process. "IT HAS BEEN THE BEST THING I HAVE EVER DONE"
I have always considered having laser eye surgery. After using contact lenses and glasses for over 10 years, I decided to go ahead with it. After going online to look at reviews on Moorfields website Ms V Saw had very good feedback. Having had a consultation which was brilliant and answered all my questions, I then decided to proceed with surgery. Obviously going in for the surgery can seem quite daunting but everyone, especially Miss Saw, put me at ease and told me what was happening throughout the procedure. It has been the best thing I have ever done and would do it all over again! Miss Saw was fantastic. I would recommend her to anyone considering Lasik Surgery. Thank you! "Quite simply you could not be in better hands!" When I first thought about getting my eyes done, I refused to go to the regularly advertised companies as I found them too pushy and unsatisfactory when it came to answering my questions. However, when visiting Ms Saw she immediately put me at ease. My concerns over side effects and dry eyes were put to one side once Ms Saw explained very clearly and in detail what the likely outcome would be and how I would be able to look after my dry eyes. Ms Saw advised me to use a hot compress which worked very well in preparation for the procedure and I continue to use this method. It’s now been two years since I've had the operation and I've got to say I've had minimal pain and discomfort. It's now two years on and despite dry eyes and fear of side effects, I could not be happier with the outcome. My vision is fantastic and it feels wonderful to be able to wake up, watch tv, go for a walk or even look at signs on the tube platforms without using my glasses. Ms Saw's care pre and post operation have been exceptional. If you are in any way apprehensive or nervous, I highly recommend Ms Saw. Quite simply you could not be in better hands! After being blind as a bat for over 30 years, I finally gave into having laser eye surgery. After researching the issue, I decided on Moorfields as the best option. This has been endorsed by my whole experience from start to finish. Miss Saw and her team were professional, dedicated and supportive through the whole process and I wouldn’t hesitate to recommend them as the way to go if you're thinking of this treatment. Thanks for giving me my sight back! "I AM THRILLED WITH THE RESULTS"
Ms Saw and her team are very friendly and professional – they made sure I understood everything beforehand and explained exactly how the procedure would go so I knew what to expect. Ms Saw’s manner is calm and reassuring and I am thrilled with the results. "I'M EXTREMELY HAPPY WITH THE OUTCOME"
I had lens replacement (IOL, RLE) surgery to fix short-sightedness in Feb/Mar 2013. I’ve had my first annual check up everything is fine. I’m extremely happy with the outcome and would happily recommend this surgery to anyone, especially if you have severe short-sightedness. Valerie Saw is not only highly qualified, but helpful, kind, gentle and patient as well and I highly recommend her to anyone considering this type of surgery. Ms Valerie Saw’s team were very attentive and helpful. I had LASEK surgery which has longer recovery time and is more painful. Ms Saw ensured the pain has kept to a minimum and even came in on a Saturday to check how my eyes were healing! All my questions were answered promptly. ""Not needing reading glasses is amazing!"" Lens replacement surgery in November 2016. Not needing reading glasses is amazing! "I AM 3 MONTHS DOWN THE LINE AND DELIGHTED"
The surgery itself was quick and (literally) painless. I am 3 months down the line and delighted, not only with the result but with the follow up care I received. I highly recommend Valerie and her whole team. I could not have done this without them! "SO GRATEFUL TO MS SAW FOR HER PROFESSIONALISM AND CARE"
I had a corneal ulcer on my right eye caused by my contact lenses. I was under her care for 3 months whilst the ulcer healed. I received excellent care and so I decided to go back to Ms Saw to discuss the possibility of laser surgery. The final procedure was completely successful. I can now say, June 2014 that I have 20:20 vision in both eyes. It is amazing and I am SO grateful to Ms Saw for her professionalism and care. Despite being an ‘unusual’ case, she was willing to treat me and I hope that my experience will give hope to others in a similar situation. I have no hesitation in recommending Ms Saw and would highly recommend her. "I WOULD DO IT ALL AGAIN IN A HEARTBEAT"
Very pleased with the results. The novelty has not worn off yet! Ms Saw is very gentle and calm. I would do it all again in a heartbeat. "I COULD NOT HAVE CHOSEN A BETTER SURGEON"
I had spent a lot of time researching LASIK surgery as it was something that I was fearful of having done, even though I really wanted to improve my sight. I could not have chosen a better surgeon than Valerie Saw. Not only did she keep me fully reassured and informed at all time, her manner and personality left me feeling instantly at ease in her care. The treatment itself was not as scary as I had anticipated and either Valerie or her team were always at the other end of the phone if I needed assistance with aftercare. It has been one of the best decisions I have made and I am so pleased that I chose Valerie for my treatment. I am thrilled with the results. I researched and contacted a number of London based clinics and surgeons and after contacting Ms Saw’s office I was really impressed with the professional and personalised service that her team offered me. When I met with Ms Saw's office the professional and personalised service continued. I am very active and I hold a PPL and we agreed that LASEK was a better choice for me. During the surgery I was grateful that Ms Saw explained what she was doing at each and every step of the very short procedure. During the follow up and aftercare I found Ms Saw and her team to be easily available to answer any questions. My recovery was very fast, aided by the aftercare, and my PPL Medical certificate was re-issued by a CAA Medical Examiner after 3 months instead of the anticipated 12. I am 100% satisfied with my treatment would recommend Ms Saw to anyone considering laser eye surgery. "I CAN'T THANK VALERIE ENOUGH FOR COMPLETELY TRANSFORMING MY VISION"
I can’t thank Valerie enough for completely transforming my vision: from -8.50 and virtually no vision without glasses or lenses to perfect vision for both distance and reading. At all stages Valerie provided a totally professional service. The aftercare support was fantastic. I cannot think of a more successful outcome nor a surgeon I could more highly recommend. Very satisfied with my treatment. Ms Saw is excellent and the quality of aftercare is fantastic. I would highly recommend treatment here and I am delighted with the results. "SPOT ON WITH ADVICE AND SUGGESTIONS"
I had absolutely no idea of what to expect when I discovered cataracts in my eyes. And I was living abroad. On my first visit, during my initial consultation Valerie explained in very simple but concise terms what to expect and was able to put my mind at ease. She also fully outlined what type of resulting vision to expect including all the main side effects. I came back to London 3 months later and we were able to operate on both eyes, and I left London a week later, fully armed with instructions and eye drops. Due to being abroad I called once just to discuss over the phone how I felt my vision was and to ensure that I was on track. Once again even from afar Valerie was spot on with advice and suggestions. Six months on and I have had my follow up visit. My eye-sight is perfect, the side effects are minimal. I would highly recommend Valerie Saw to anyone considering eye surgery; you can be certain of being in good, professional hands with optimum results. "MS SAW HAS BEEN VERY HELPFUL AND SUPPORTIVE DURING THE WHOLE PROCEDURE"
"BEST MONEY I'VE EVER SPENT!" The treatment was completely successful. Great to be able to drive without glasses and to buy sunglasses without having to get expensive lenses. Wish I’d done it sooner, best money I’ve ever spent! Great level of care. I felt that they really cared at all stages through the consultancy all the way to the surgery and then the aftercare. I was able to call anytime if I had a problem. Perfect vision. I would highly recommend it to anyone considering laser eye surgery. "VALERIE WAS FANTASTIC ALL THE WAY THROUGH"
Extremely pleased with the surgery (January 2016). It is life changing. Valerie was fantastic all the way through, very professional and thorough in her explanations. Surgery was painless and results were already incredible after a few hours. After care support was brilliant. I have been recommending Valerie to my family and friends since then! I could not be happier with my decision to have laser eye surgery to correct short-sightedness/ astigmatism performed by Miss Saw. Miss Saw is professional, calm and reassuring. She talked me through the procedure which took around 10-15 minutes one afternoon. I woke up the next morning and could see without glasses or lenses for the first time in 30 years. A year on I have 20/20 vision, no problems driving at night or otherwise. Brilliant! "MS SAW PUT ALL MY WORRIES TO REST WHILE AT THE SAME TIME BEING VERY INFORMATIVE AND PROFESSIONAL"
I went to a number of eye clinics who all failed to spot my cataracts. Valerie was quick to diagnose and treat my various needs and swiftly achieved great results. If you are worried or in need of advice or quality care I would recommend Valerie. Brilliant Service. Everyone was kind and helpful. Can now see my golf ball after playing my shot. Highly recommended. The service provided by Valerie and her team was fantastic and I am very pleased with the results. I would not hesitate to recommend her to any of my friends or family. "COULD NOT BE HAPPIER WITH THE RESULTS"
After 40+ years of glasses/contacts had LASIK about three months ago. Miss Saw and her team were excellent. Friendly, professional and thorough. I understood all aspects of the procedure and could not be happier with the results. "I ONLY WISH I HAD DONE IT SOONER"
After many years debating whether to have surgery I eventually booked an appointment with Ms Saw. Valerie and her team explained everything fully, addressed my worries and put me at ease. The procedure was easier than I thought it would be and I only wish I had done it sooner. Thanks to Ms Saw I do not need glasses anymore. "CLEARLY OUR RATING OUT OF 5, IS 6"
After years of suffering with dry eyes and several visits to consultants in the Midlands, I was getting extremely frustrated and losing hope of finding anyone who could understand my problem fully and offer me sound advice with a plan for improvement. I had both Meibomian gland dysfunction and aqueous tear deficiency, with occasional secondary inflammation. Since 2002 I had used a variety of drops and also tried punctal plugs, but had developed infections. After another search on the Internet and looking at London consultants, I noticed Ms Saw had an amazing CV and had Dry Eye as one of her areas of expertise. My first visit to Valerie in March 2015, instantly gave me the hope I was seeking. She was so understanding, reassuring and kind. Valerie took time to investigate and diagnose my symptoms fully and I came away with a new treatment regime offering various options, as part of a plan for improving my condition in the short and long term. As one of my treatment options, Valerie carried out Cautery of the lower tear ducts and fitting of a punctual plug in one of the upper. In 2016 my eyes are now far more comfortable and I am slowly reducing medication. I am using a good combination of drops and ointment and continue with a hot massage routine. I have travelled from Staffordshire for all of my visits and will happily continue to do so, Valerie is unique in my view, and so it is well worth the effort to get the best. "BEST THING I HAVE EVER DONE AND BETTER STILL WITH SUCH AN EXCELLENT SURGEON"
Had my surgery over a year ago. Currently still no issues and have better than 6/6 or 20/20 vision. Miss Saw was very thorough and that gave me the confidence to go ahead with the surgery. She also explained that if I had any issues after surgery to contact her immediately. That alone gave me confidence I was in good hands. The surgery was quicker than I expected. Before long I suddenly could see with a lot of detail. Also to note Miss Saw is very gentle as well. Best thing I have ever done and better still with such an excellent surgeon. "CAN'T BELIEVE I DIDN'T HAVE THIS DONE YEARS AGO!" Ms Saw is an outstanding surgeon. Very clear information and individual attention as I had long standing conjunctivitis and blepharitis as well as myopia. Felt fully prepared for the surgery and extremely confident in her skill. Delighted to wholeheartedly recommend both the procedure and Ms Saw. Can’t believe I didn’t have this done years ago! "STILL MARVELLING AT THE VIEW 4 MONTHS ON"
Extremely pleased with the results from my laser eye surgery with Ms Saw. Perfect vision, better than 20:20. Still marvelling at the view 4 months on. Ms Saw and her team are kind, thorough, professional and provide excellent care and advice. Highly recommend. Ms Valerie Saw is a friendly and very professional eye surgeon. She is very thorough during the examination. Valerie immediately put me at ease providing just the right amount of information to enable me to make the right decision about having laser eye surgery (after over 45 years of wearing glasses for astigmatism and myopia the idea was a bit scary!) During the surgery when I was quite nervous Valerie was reassuring, efficient and kept me fully informed. After surgery I received complete care and attention. Valerie made sure I understood exactly what I needed to do to take the best care of my eyes. I now have great vision with no glasses at all, even reading a computer screen all day. 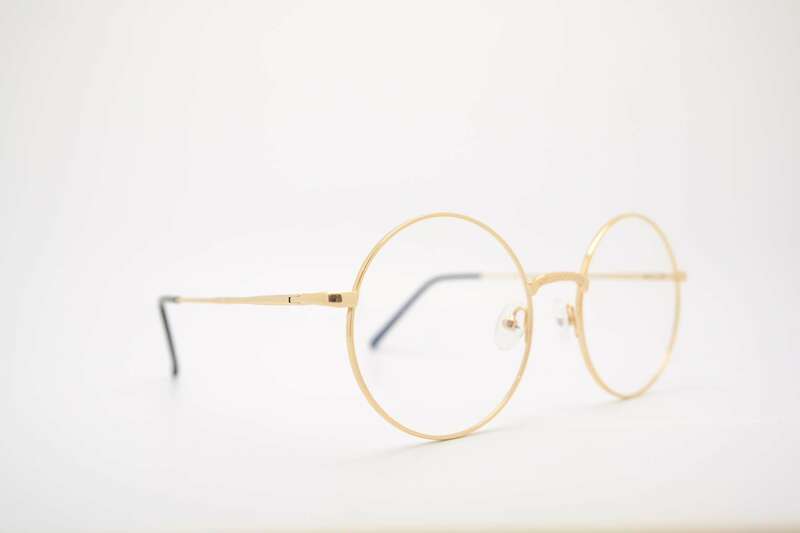 "IT IS ASTOUNDING THAT SUCH A LIFE CHANGING RESULT CAN BE ACHIEVED SO EASILY AND PAIN/ STRESS FREE"
Having worn glasses since the age of 8, it was difficult to explain the decision to undergo surgery to correct my vision. However, how glad I am that I went through with it. Valerie was amazing, patiently explaining everything and answering questions, even in the run-up to the surgery date. On the day itself, Valerie and her team made the whole experience calm and stress free and it is astounding that such a life changing result can be achieved so easily, and pain/ stress free. I had the surgery in February and have recently returned from an early summer holiday – no glasses, prescription sunglasses, contact lenses, comfort drops etc. Just my new eyes and a pair of sunglasses! I would thoroughly recommend the amazing Valerie and Moorfields hospital. "INSTANT RESULTS CHANGED MY SIGHT TO 20/20"
I had LASIK after suffering from iritis and blepharitis. I was very nervous about the procedure but Ms Saw was very clear in explaining what would happen, which made me feel at ease on the day. My LASIK result was overwhelming with joy that such instant results could change my sight from -6.5 to 20/20. Thank you! "THE AFTERCARE WAS FIRST CLASS"
I found Valerie very informative prior to having my eye implants, the aftercare was first class. I would not hesitate to recommend Valerie to any of my friends who were thinking of having this procedure. We welcome any enquires and first consultation bookings via our website. Please continue to fill out the form below and a member of our team will contact you.